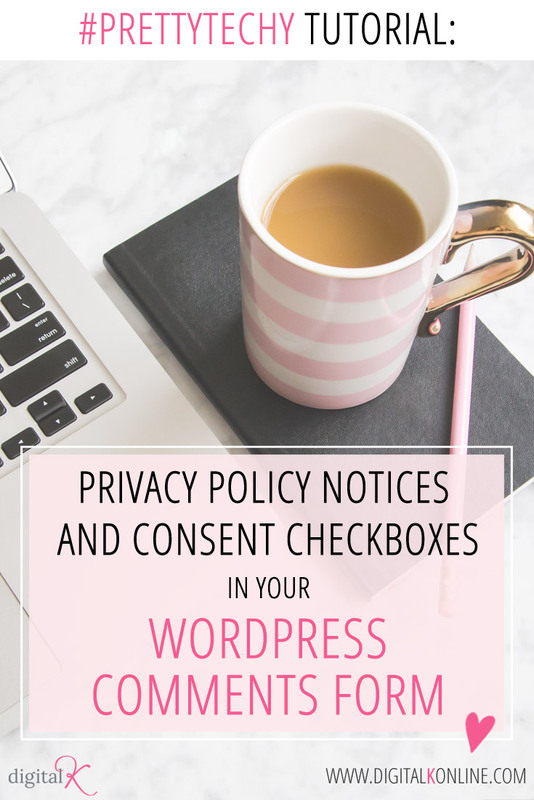 Note: This post is part of a blog series about how to get your website setup in order to comply with the recent GDPR regulations. You can find the original article where I walk you through the different things I considered in my GDPR-compliant quest here: Online Entrepreneurs and GDPR: How to Get This Stuff Done! Below are step-by-step instructions for how to setup each of these things on your WordPress blog comments form. You can pick and choose which one(s) you want to use on your own website. 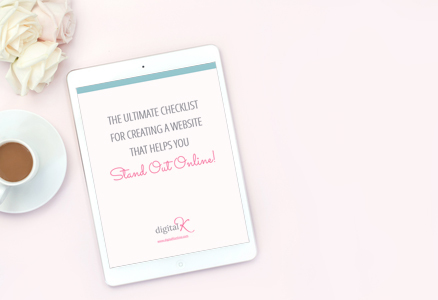 Which feature(s) you want or need to enable will vary from website to website – depending on the regulations of where you live, recommendations from your lawyer, how you are handling your blog comments, etc. If you need advice about how to comply with regulations on cookies and data privacy, please consult with an attorney. I am not giving you legal advice on which features you should use — but instead am giving you the instructions for how to add these features to your website. 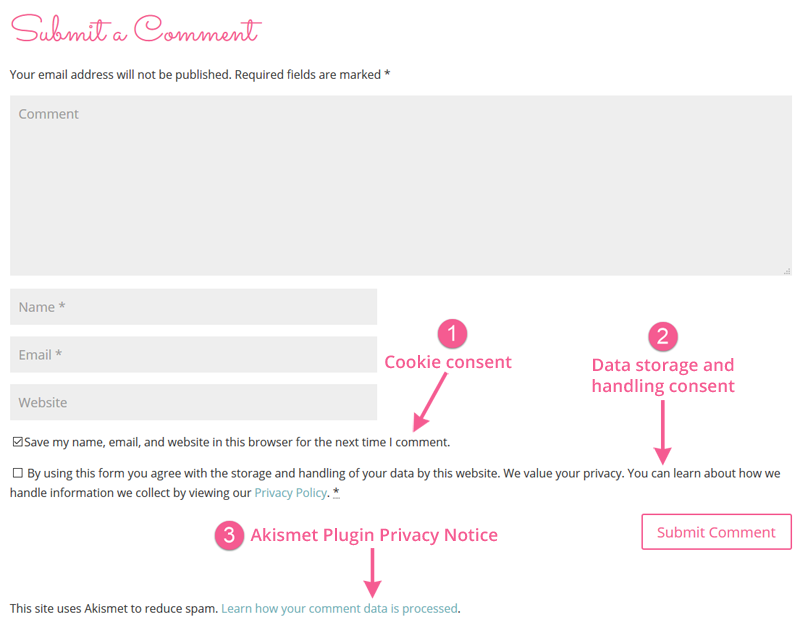 Starting with version 4.9.6, WordPress automatically adds a cookie consent checkbox to your blog comment forms. These cookies save data in the website visitor’s browser so that they don’t have to fill in their name, email and website address the next time they want to leave a comment on your blog. This is an optional consent; If they don’t want those cookies saved in their browser, they can un-check this before they submit their comment. Install and activate the WP GDPR Compliance plugin on your website. 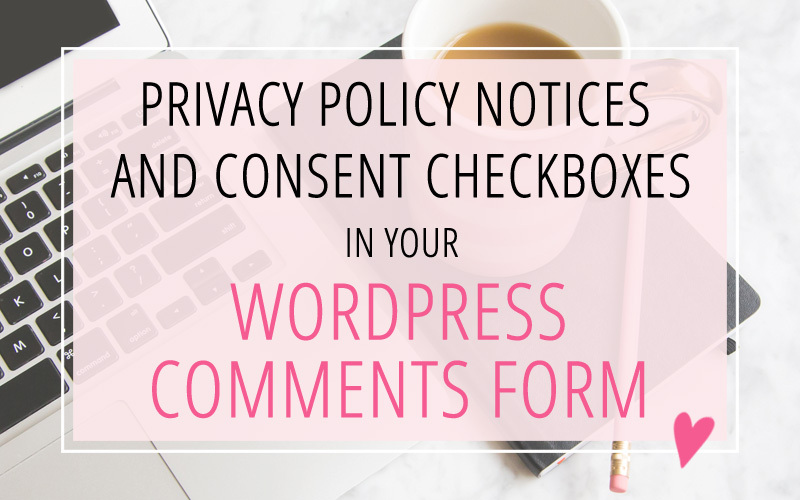 In your WordPress admin area, go to Tools > WP GDPR Compliance. Click on the Integration tab at the top. 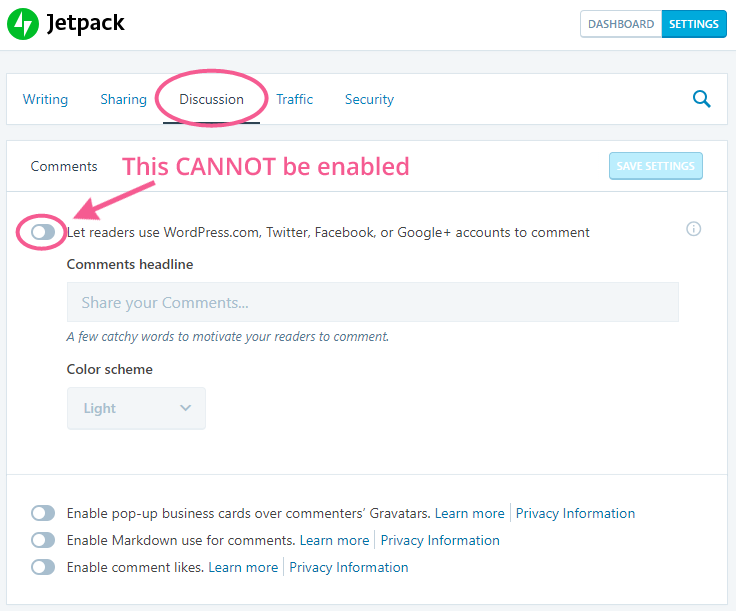 Enable the WordPress Comments section. Optional: Edit the Checkbox text (the text you want to appear next to the checkbox). Click on the Settings tab at the top of your WP GDPR Compliance plugin settings. Go to Jetpack > Akisment Anti-Spam in your WordPress dashboard. In the Privacy section, enable the Privacy notice. Thank you so much! My comments weren’t working and now after turning them off in JetPack as your article stated I got them working! Great! I’m glad this helped! Can you tell me how you got the “Notify me of…” checkboxes? I’m not sure if there is a plug-in for these or if they need to be done manually. I’ve been looking everywhere for how to do these and can’t figure it out. Thanks! Hi Elisabeth. That is done through the JetPack plugin. Go to JetPack > Settings. Click on the Discussion tab at the top. And then enable the Subscriptions features. wow wow wow Thank you so much for sharing this! It helped me so much! !